Meet our new partners Thomas Agnew, Kathryn Meehan, Siobhan O’Brien, and Nadine Zacks. 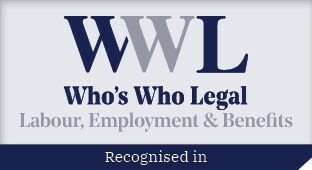 All are experienced and accomplished labour and employment lawyers who continue to develop their thriving practices. Congratulations to our lawyers who have been recognized as notable practitioners in Chambers Canada 2019. Hicks Morley is pleased to announce the hiring of nine new associates. Working out of the firm’s Toronto office are Amanda Cohen, Ashlee Common, Matin Fazelpour, Diana Holloway, Sarah Iaconis, Will McLennan, Kate Shao, and Evan Taylor. Practising out of the Waterloo office is Nicholas Smith. Hicks Morley congratulates 30 of our lawyers for being recognized in Best Lawyers® in Canada, 2019 in the areas of Labour and Employment Law, Employee Benefits Law, Corporate and Commercial Litigation, Privacy and Data Security Law and Workers’ Compensation Law sections. Hicks Morley is pleased to announce it has once again ranked as the leading law firm in the Labour Relations and Pensions category according to the 2017/2018 Lexpert® CCCA/ACCJE Corporate Counsel Directory and Yearbook. 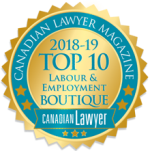 Practice groups included in this category are employment law, labour relations, labour relations (construction sector), occupational health & safety, pensions & employee benefits and workers’ compensation. Hicks Morley’s Kathryn Meehan authored an article in Canadian Employment Safety and Health Guide titled “Appellate Court Issues Favourable Decision for Suncor on its Random Drug and Alcohol Policy.” The article explores the legal saga on the issue of random drug and alcohol testing of employees. Specifically whether Suncor’s random drug and alcohol testing policy violated the privacy rights of its unionized workers. Hicks Morley’s Shivani Chopra presented at the CPBI Ontario Regional Conference ‘Medical Marijuana in the Workplace’ and was featured in the Benefits and Pensions Monitor. 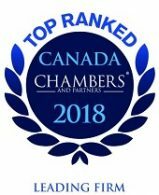 Hicks Morley congratulates 29 of our lawyers for being recognized in Best Lawyers® in Canada, 2018 in the areas of Labour and Employment Law, Employee Benefits Law, Privacy and Data Security Law and Workers’ Compensation Law sections.